Home - Print Direction, Inc.
Our roots are in printing. More than just digital, lithographic, and screen printing, Print Direction is a full-service visual marketing solutions provider. 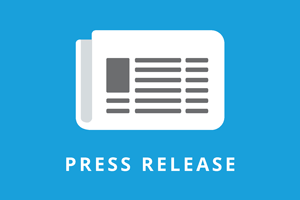 With additional offerings of inventory management, consultative services, and client technology amenities, Print Direction provides clients the stability, trust, and reliance they need to move forward. 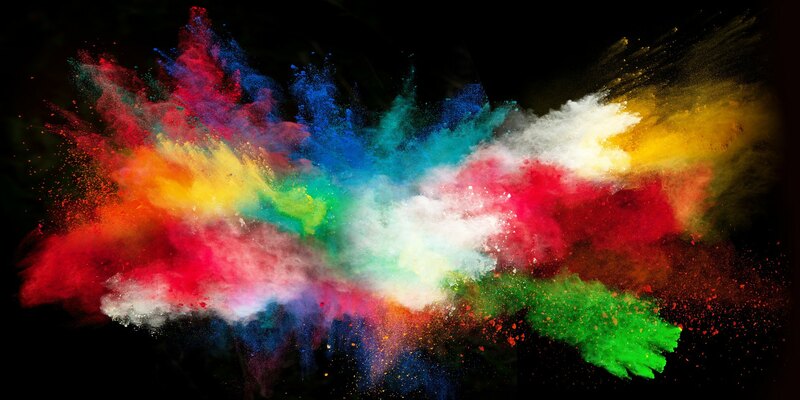 Specializing in visual impact marketing using technology to bring your marketing concepts to reality. 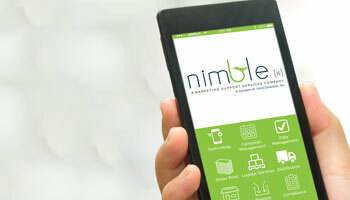 To help you work smarter, we've created Nimble[is], a patented suite of mobile-friendly solutions for managing and streamlining your in-store, corporate, and promotional marketing campaigns. 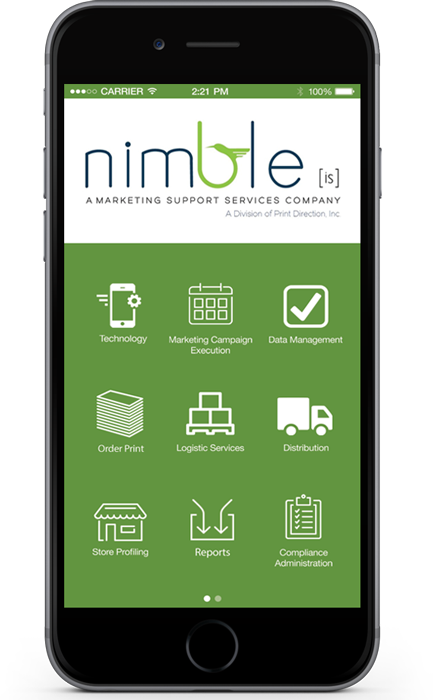 Let our mobile technology solutions lead the way for your marketing campaigns. Learn more about the awesome things we can do for you. We're busy bees working on your behalf. Watch how Print Direction brings your concept to reality. Watch how we go above and beyond just printing and fulfilling your goods.